Former Ontario premier Dalton McGuinty attended the April board of governors meeting at Algonquin College. Former Ontario premier Dalton McGuinty was present at the Board of Governors meeting on Monday, April 16. 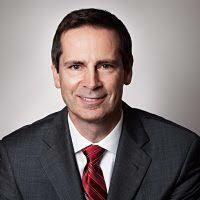 McGuinty, who announced his resignation as premier in October 2012, and left office in February 2013, is now a special advisor to John Baker, the president of D2L (Desire2Learn), the Kitchener-based company chosen to supply Algonquin with its new learning management system (LMS) called Brightspace. His association with the company began 19 months after he left office, said media reports at the time, when he registered as a government lobbyist. Former MPPs are required to wait 12 months after leaving office before they can register as a lobbyist. However, the former premier terminated his lobbyist registration over three years ago, Alexandra Knowles, McGuinty’s executive assistant, confirmed in an April 28 email to the Times. 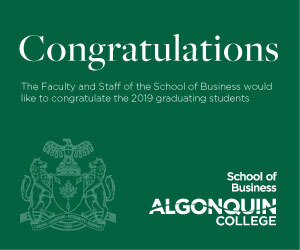 McGuinty told the board he was at the Algonquin meeting to thank and reassure the college for choosing Brightspace, which will be implemented next fall. 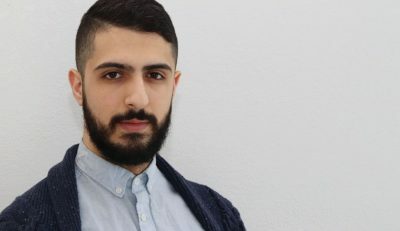 He was accompanied by other members of the D2L senior management team including Jon Krochmalnek, senior manager, Implementation Services at D2L. “I have two simple objectives, to thank and reassure you,” McGuinty said to the board. The former premier told governors they had made a good choice by choosing Brightspace; D2L is a reliable company and has great faith in their product and CEO John Baker, he said. The presentation went on to inform the board of some of the goals for the new LMS implementation, which is to make sure that Brightspace is out on time for students returning in the fall. Another key goal discussed in the presentation was making sure that all staff is familiar with the new LMS before its release. Currently D2L and Algonquin are getting ready to start the migration process. The D2L team will be moving 48,000 courses and two years worth of content from Blackboard over to the new Brightspace LMS. Brightspace is currently being used by students and staff at the University of Ottawa. Carleton uses a system called cuLearn. Note: This is an updated version of this story that first appeared on April 28, 2018. Former premier Dalton McGuinty representing college’s new LMS company Reviewed by Connor Wilkie on April 28, 2018 .